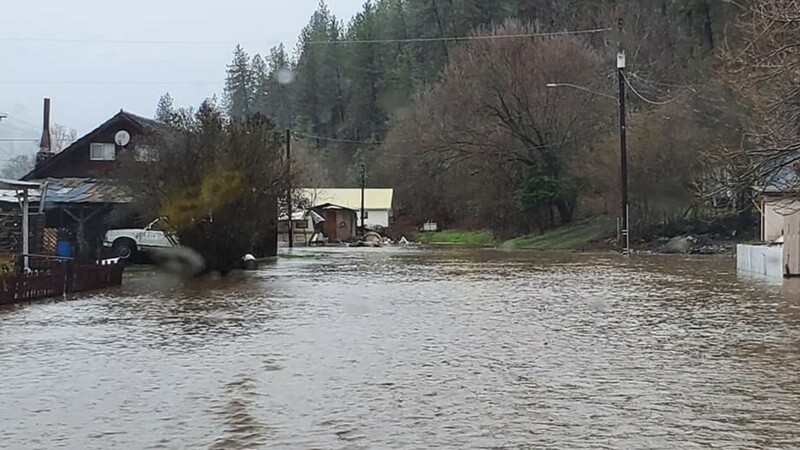 The flooding has prompted road closures in Kamiah and neighboring Stites, Idaho, according to Lewis County Commissioner Justin McLeod. Several highways in the area are closed. “It [Stites] is completely underwater,” McLeod said. 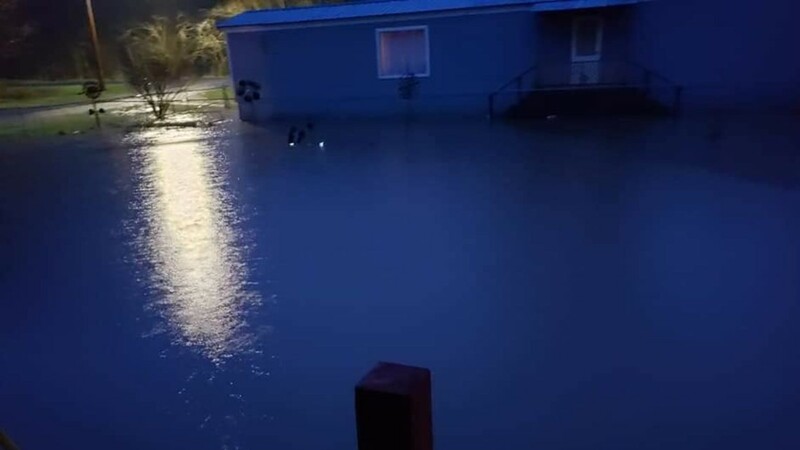 The Nez Perce Tribe’s executive committee has also declared a state of emergency due to heavy flooding on and near reservation land. Though rain is not expected today and water levels are declining, people are advised to take extra precautions and stay alert. Mudslides, landslides and rockslides are still likely to occur. Tribal police officers are continuing to keep a close watch on areas of concern on the reservation. Lapwai Creek has been rising and flooding has occurred over Goldner Road. Residents were called in to lay sandbags and the situation was stabilized. There are two accessible shelters: one at the Pi-Nee-Wauz Community Center in Lapwai and another at the Wa-A'Yas Community Center in Kamiah. The Red Cross has also partnered with the Life Center on Highway 12 in Kamiah to open a shelter and feed flood victims in need of assistance. Less than 2,000 people live in both Kamiah and Stites. McLeod said the south fork of the Clearwater River running through Stites reached record levels and was sitting at 10.79 feet on Tuesday. The last record of 10.3 feet was set in 1964. 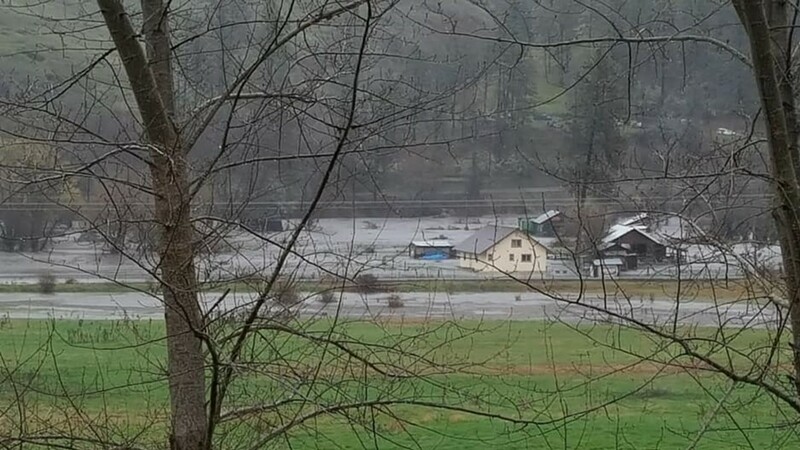 KREM viewer Diane Britton sent photos of the flooding. 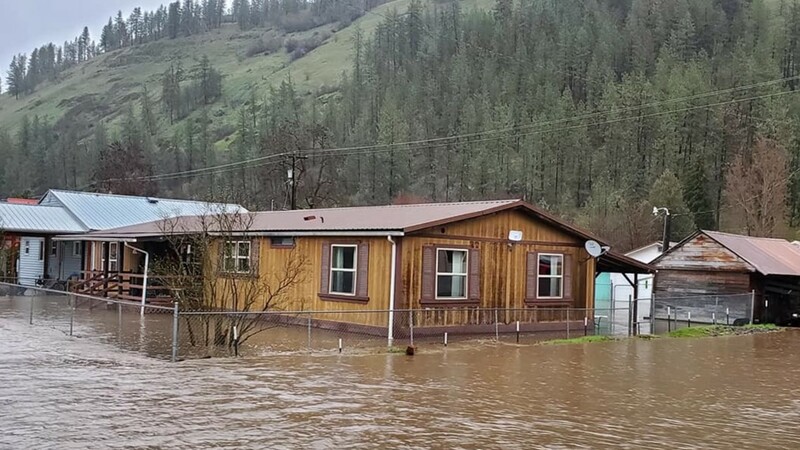 She said homes and state highways in Stites, Kooskia and Kamiah, Idaho are flooded. 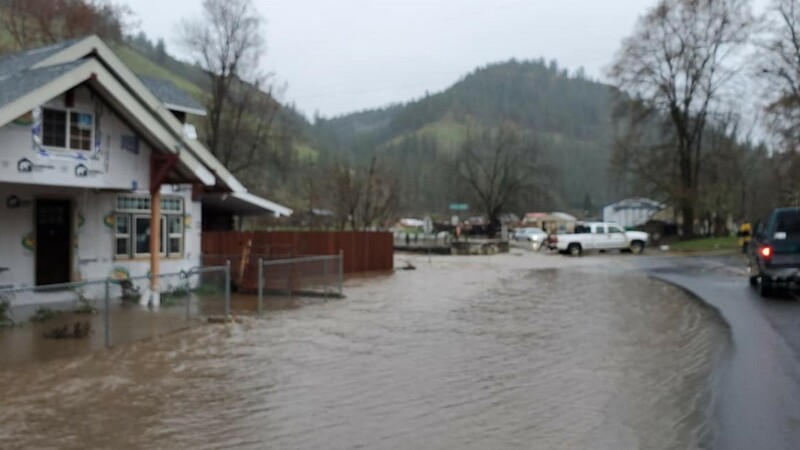 The Lewis County Emergency Operations Center will receive assistance from the state if necessary and open a shelter if flooding forces residents from their homes. Local highway districts and the Idaho Transportation Department are also working to reopen the roads, McLeod said. “We hope the water recedes as fast as it came in but we’re preparing for the worst,” he added. Flooding in the central mountains of Idaho – including McCall and Cascade – is also causing water to run or pool on top of Highways 95 and 55 in the area. The ITD is urging motorists to approach the hazardous roads with caution. Despite a record amount of snow on the ground in Spokane and surrounding areas in early March, mild and dry weather late in the month helped gradually melt snow in the valleys. According to National Weather Service meteorologist Greg Koch, there are no concerns for river flooding due to below-average mountain snowpack totals in the Inland Northwest. Koch said the traditional melt-off period is April and May. This doesn't mean Inland Northwest residents are out of the woods yet, though. A prolonged period of warm, wet weather could lead to river flooding. At this point, signs are not pointing to flooding that may come soon. KTVB staff in Boise contributed to this report.